A German college student and his friends enlist in the military after an inspirational lecture from one of their professors, but once they get to the front lines, they quickly realize that fighting in a war isn't at all like they thought it would be. Those of us under 40 generally seem to imagine that anti-war sentiment really didn't exist anywhere until the 1960s. I guess the Baby Boomers snowed us. They like to act like they invented everything, and many of us believed them in this case, as it never appeared that any prior wars had inspired any sort of formal protests. For the record, I'm not saying that I believed all citizens of all nations happily marched to their doom without any thought of the consequences. I was always very aware of the isolationist movement in the US that essentially delayed our entry into World War II, and movies like The Best Years of Our Lives showed a darker side of that conflict. Still, I think the general impression we've received follows the jingoistic lines that always display wars in terms of unadulterated support. 1930's All Quiet On the Western Front slaps me upside the head with reality. The film deals with World War I - wasn't that supposed to be the war to end all wars? - and views the conflict from the German side. However, don't regard that emphasis as important to the content, as it really appears irrelevant. If a similar movie were to be made about WWII-era Germany, it would need to be more ideologically-specific, but there's nothing about the portrayal of the German characters or their opponents that requires them to be from one nation or another. That makes the film more universal than it otherwise would appear, since we can't watch it and dismiss its lessons as being restricted to one nation. One problem with Nazi-oriented stories is that they're so completely one-sided - and appropriately so, since there was nothing defensible about their actions. However, that means it's more difficult for us to generalize lessons learned because we regard what the Germans did as such an aberration; it's the "it couldn't happen here" syndrome. Dramas about WWI don't suffer from that problem since it was a much more abstract battle. The lines of "good" and "evil" were much less clearly drawn. In fact, a lot of the isolationism seen during the Thirties stemmed from the impressions that WWI was fought over little and concluded nothing. No concerns were fully resolved, so the entire brutal action appeared wasted. That tone comes through clearly in Front, a surprisingly searing and effective anti-war movie. Frankly, although I knew the piece viewed armed conflict in a negative manner, I wasn't quite prepared for how strong it would be. This movie shows the conflict in a nearly-unrelentingly harsh way. The story follows a group of classmates who are all strongly encouraged by society to join the military; it's their duty and will bring about their glory. This is most clearly demonstrated by a scene involving their teacher, who whips the boys into a nationalistic frenzy. However, they soon realize the truth of the matter as they enter a boot camp almost as mind-numbing and unpleasant as the one depicted in Full Metal Jacket. Once that ends, they head off for combat, where the nasty realities of the situation become even clearer. Front seemed much more graphic and kinetic than I expected. When I think of films from the era, I imagine static shots of tame action, but that's not the case here. In fact, the battle scenes are easily the high points of this movie and I thought they were some of the best-executed I've ever seen. They lack the blood-and-guts impact of Saving Private Ryan but clearly depict the unrelenting terror of combat. 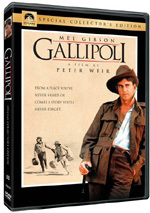 The camera swoops along the trenches and the soldiers just don't stop as they attack and attack and attack; the segments lack melodrama and simply go straight for the throat. These parts of the film seemed vicious and brutal and really worked well. The rest of Front provided a mixed bag. For one, the film is simply too long. It makes its points over and over and just keeps going past the point of usefulness. I also found it disconcerting that most of the actors who played the Germans were American, and really American at that. These were clean-cut, "all-American boys" and it feels odd to have them act as Germans. Perhaps that was part of the point, as obviously foreign actors would have allowed audiences to distance themselves from the material. With such familiar attitudes in the roles, it makes it harder for us to disconnect. However, I don't think it worked, as it just seemed freaky to regard these kids as Germans. In any case, even with those quibbles, All Quiet On the Western Front remains a classic war film. Forget everything you thought you knew about "old-time" moviemaking, and ignore every prejudice you feel toward that era. This movie blasts its way through those generational concerns and stays gripping and vibrant after more than 70 years. 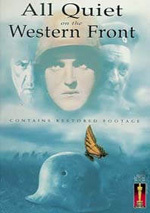 All Quiet on the Western Front appears in an aspect ratio of 1.33:1 on this single-sided, double-layered DVD; due to those dimensions, the image has not been enhanced for 16X9 televisions. From start to finish, the picture looked messy and displayed quite a few issues. Sharpness presented one of those problems. Quite a few shots appeared soft and hazy. Close-ups tended to be acceptably concise, but wider shots came across as murky and ill-defined. Though I noticed moderate edge enhancement, moiré effects and jagged edges did not present any concerns. At least I think they weren't problematic, but it was hard to tell through all of the muck. Front presented a slew of print flaws, though some parts of the movie escaped relatively unscathed. Granted, there's not a minute of this film that passed without some concerns, but some sections were cleaner than others. For the most part, I saw a variety of scratches, speckles, spots and grain on the screen; those were the most common concerns. The movie also seemed wobbly most of the time. No matter how good the picture could be, expect to see at least mild occurrences of the above-cited problems. At its worst, the intensity of these defects increased, and I also found serious tears, and various thin lines. This was a badly flawed presentation. Black levels varied. At times, dark tones seemed acceptably rich and deep, and shadow detail could be quite deft and appropriately light. However, it's clear that lighting techniques of the era weren't very good, as many scenes came across as either excessively dark or light. Contrast seemed weak during many sequences, as the lighting made them overly white. Overall, the transfer had a lot of concerns and resulted in a weak visual experience. Even when I factored in the age of the material, this was a poor transfer. Similar problems greeted the monaural soundtrack of All Quiet on the Western Front. Dialogue tended to be tinny and thin at times, and intelligibility sometimes became an issue. Speech often took on a rough, brittle tone. Effects tended to display an awful lot of distortion, especially since we heard so much gunfire and explosions; these appeared harsh and shrill. Music appeared infrequently, as films of the era didn't have proper scores. Instead, we got a tune under the title cards, and we also found some music played as part of the action. For example, one scene featured a marching band. The song during the opening sounded relatively clean but the other examples of music tended to be rough and edgy, with quite a lot of distortion. A high level of popping and noise appeared in the background throughout the film. Since "talkies" had only existed for a few years prior to the release of Front, I couldn't slam its audio too hard, but I just didn't feel comfortable granting it a grade higher than a "D+". When it comes to the DVD's supplements, we're stuck with a few minor components. We find some very nice text production notes, and we get solid and relatively detailed biographies for five actors and the director. Finally, we discover a trailer for one of the film's theatrical re-releases. Although All Quiet On the Western Front is clearly a flawed DVD, I still have to recommend it because of the quality of the movie itself. 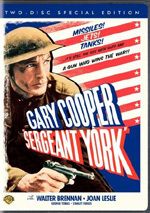 The film provides a powerful and relatively graphic portrayal of war that might give pause to even the most gung-ho hawk. The DVD's picture and sound are both weak and the lack of substantial extras is disappointing. Front at least merits a rental, but this is a problematic release.